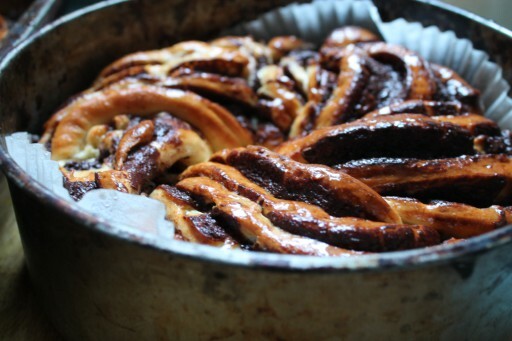 We need to tell you about our new favourite obsession – CHOCOLATE BABKA. Now, if you’re American or have spent any time in New York, you probably know all about babka already. Hey, if you’ve watched “that” Seinfeld episode, you too know what a babka is. However, here in the UK it’s relatively unknown – we do have cinnamon buns here in London which is sort of similar but otherwise, it’s not a part of traditional English baking. 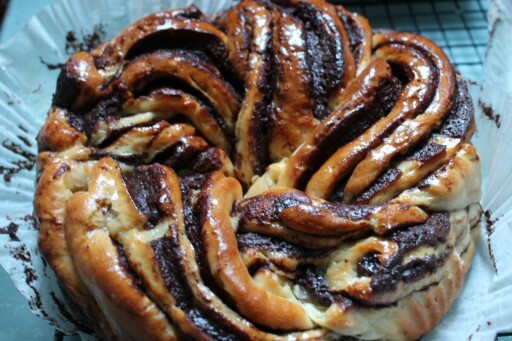 For everyone who doesn’t know, a babka can be either a Polish sweet yeast bread made in a bundt tin and eaten at Easter or a Jewish sweet enriched bread filled with chocolate or cinnamon and plaited. We’re referring to the second type of babka (though we would love to try our hands to the first!) that we tried for the first time this year. On a whim, we picked one up at Trader Joe’s and we fell in love with the chocolatey goodness. It was glorious – like a brioche or panettone and our first instinct was to google “babka London”. Unfortunately, it came up with no hits. So, our Plan B was to find the perfect recipe. 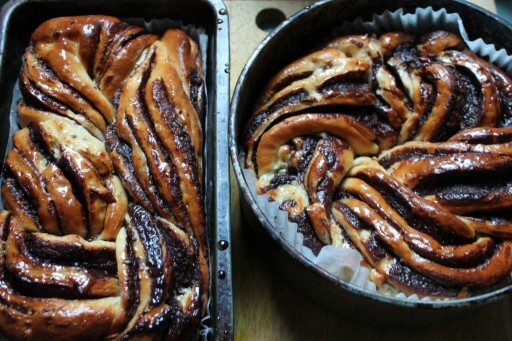 Turns out, one of favourite food bloggers, Deb Perelman, had just adapted Ottolenghi’s Chocolate Krantz Cake and it looked wonderful. We tried it and it was so yummy. Perfect with a hot cup of tea, at any time of the day. It looks really complicated but honestly, the only downside is that it is a little time consuming. The recipe requires two proves – one overnight prove and one prove just before you stick the babka in the oven. Otherwise, if you have a stand mixer and all of the ingredients, it really is so easy. One day we might put our own twist on it – for now, we’re leaving it to the professionals (aka wonderful Deb). Click here to view the recipe on Deb’s Smitten Kitchen blog. The recipe makes 2 loaves – one to eat now and one to give away to someone special! I was wondering when you would post this. It looks fantastic! I can’t wait to try the recipe.